We're finally home from SEMA, one of the largest automotive trade shows in the world. SEMA, which stands for Specialty Equipment Market Association, holds the annual SEMA Show once a year, allowing buyers, sellers, and exhibitors to congregate across 2 million square feet of exorbitantly extravagant booths and cars. It is the industry's ultimate networking tool, allowing companies to meet one-on-one to further their businesses. Relationships are formed every second at SEMA, laying the groundwork for the entire industry for the year to come. And if you didn't know, it takes place in Las Vegas, Nevada, meaning that the show is bound to be anything but ordinary. 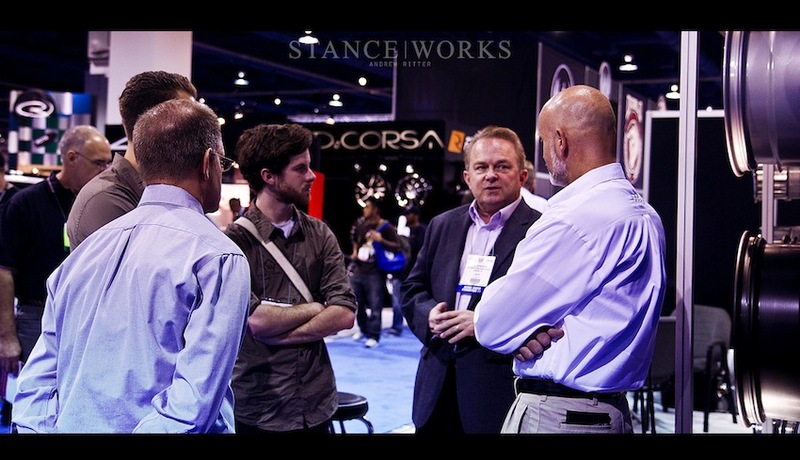 Our week at the SEMA Show, our first time attending as StanceWorks, was a successful one. It was a week that we hope sets the playing field for 2012, and it began with quite the bang. Our first meeting of the show was with the president of BBS. We had a long discussion in an effort to answer everything we could possibly come up with. We got the truth on everything from the relationship between BBS NA and BBS Germany, to the notorious bankruptcy, and even what the future holds for BBS. We asked about the role of vintage BBS motorsport wheels in today's market and what the chances of a comeback happening are. To say that BBS is well aware of today's trends is an understatement. They attend countless events in direct relation to our community. To simplify it all, we're looking forward telling the story of what is inarguably one of the most powerful names in the history of the wheel, as well as laying to rest the constant rumors we hear each and every day. 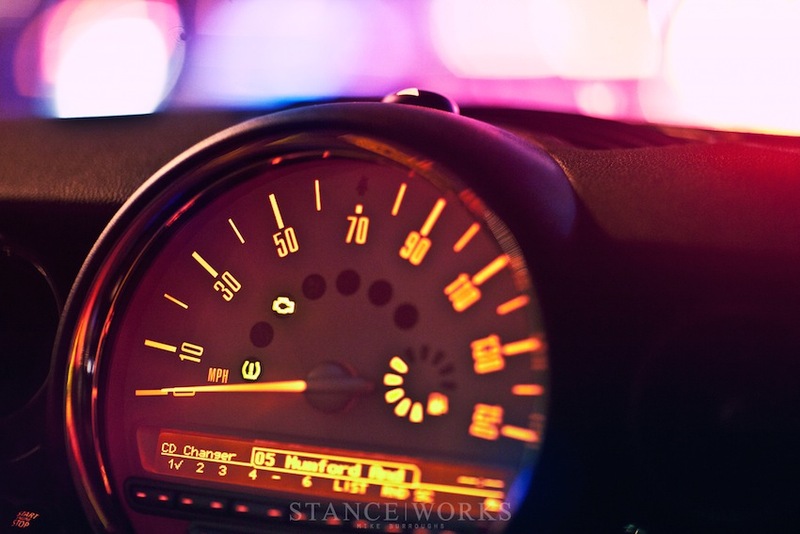 The pace of the week to come was only realized when shortly after, we were off to a private party hosted by HRE. HRE's affair was hosted in one of the top-floor suites of the Aria Hotel. The term "extravagant" doesn't quite do justice to the outstanding room, and the wheels that were converted to tables were just as impressive. It's quality you obviously won't find at the closest IKEA. 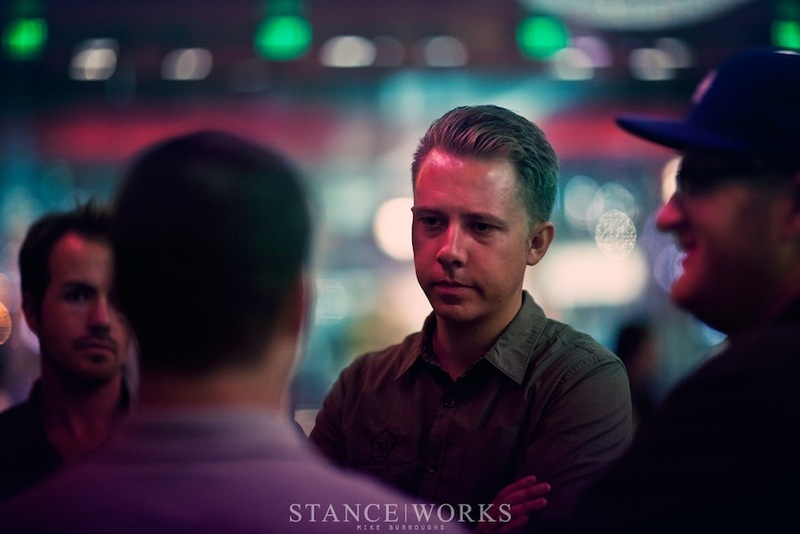 The future of StanceWorks and HRE was discussed over drinks as we all celebrated the success of the new HRE 454. Unveiled here at SEMA, the 454 is HRE's latest offering in a line of recreations of their classic wheels from the 1990s. The line came about as a collaboration between HRE and StanceWorks as an homage to designs of the automotive era we at StanceWorks still live in. It's only the start of a long lasting relationship with much more to come. To those who are familiar with the classic HRE family of wheels, you won't be disappointed. But the evening didn't stop there. It was only our first night out and we were already off to yet another party. Our friends at Fifteen52 scored us invites to the Hoonigan launch party, hosted by Ken Block and the Hoonigan family. After being checked off the guest list, we approached the door to hear quite the commotion and what sounded like the wood-on-more-wood collisions of a bowling alley. But it couldn't be, could it? Oh, but we should have known that such an party could only take place in a penthouse suite with a bowling alley. And a pool table. And wall made of TVs. And, well you catch our drift. 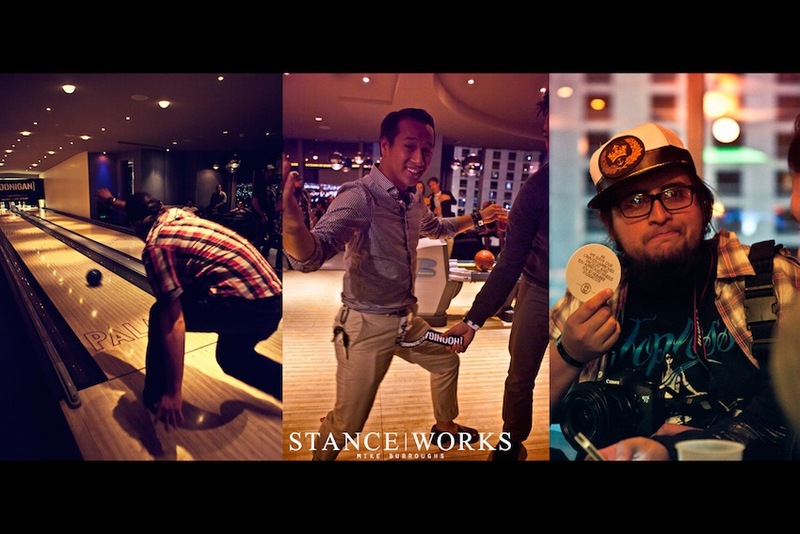 Drinks were had, bowling balls were thrown, and Linhbergh even showed us his Hooniwang®. "Celebrities" in all directions, even some that hit close to home. We had quite the discussion with Jamie, the creator of VW Vortex. I suppose it goes to show that a party is no excuse to stop working. Evening number one ended when day two should have started. After making the rounds at the show once again, we were back in HRE's suite, only to be followed by dinner with Cory from Kahn Media and Mike Garrett from SpeedHunters. In typical fast-paced SEMA/Vegas fashion, we made our way to the next thing on the list. After-dinner drinks were shared with the boys from our home turf. Rotiform, AirLift, and VIP Modular brought us all together for a solid evening that reminds us that friendship can transcend business, and why we love to do what we do every day. As we've always said, we're here to form relationships with everyone we work with. It's guys and companies like these that keep us in check and remind us why aiming to fill our pockets with money from every sponsor that approaches us is simply not the way we work. 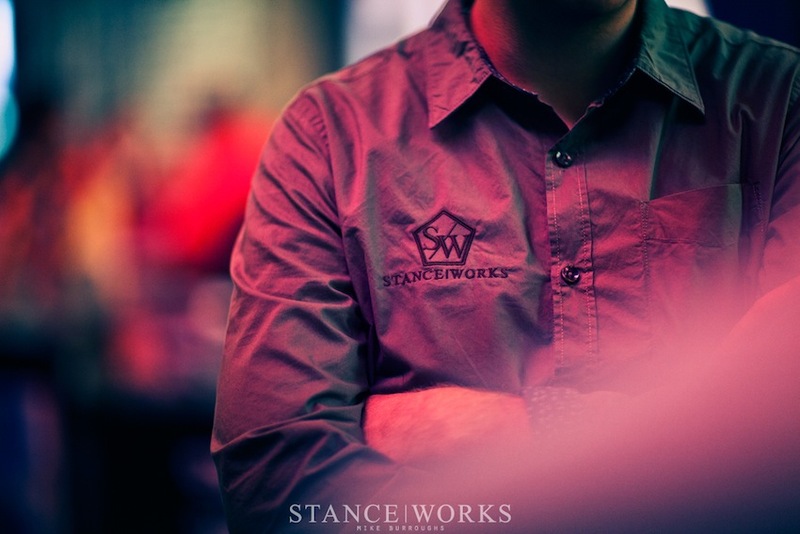 If all things go according to plan, StanceWorks will be in Japan in January for a tour of the Work facility as well as the Tokyo Auto Salon. Here's a call to all of our Japanese readers- get ready. The mad-dash continued for the rest of the day, with constant shuttling back and forth between one hotel and another underneath the Vegas lights. The final day of the show was highlighted by an outstanding meeting with the owners of Piloti shoes. Knowing that such an outstanding company is a home-grown and family run operation, we quickly decided that a full-on article must be done. We're planning on heading to their offices up North in the coming weeks, and who knows what may come of the newly found relationship. The day was capped by the highly anticipated "rollout". At 4:00, SEMA comes to an end, and at 4:01, hundreds of engines fire up inside of the Las Vegas Convention Center as everyone with a car in the show wants to get out before the aisles become impassable. All of the cars we admired inside were heading out single file, as thousands cheered each one on. Everything from monster-trucks to JJ's familiar avant came down the aisle, all as the rain that we had dodged for the whole week approached in a rather gloomy fashion. So to say our week at SEMA was a successful one is putting it lightly. We're thrilled with every connection we made and every hand we shook, and we'll be back next year, no question. Keep an eye out for us.